Friends and strangers, I appreciate you taking the time to learn a little about me. Some of you may already be familiar with my username which I have kept here on Wizzley. It has also come to my attention recently that some of you only like me for my nice pear* but you will need to go to the other site for that avatar. As to the whole WordCustard thing, it's all quite simple. I have always loved words. I used to permanently have my nose in a book, now I have my nose in a Kindle. And the Custard, I hear you ask? Yep, I like custard. Oddly, I never wrote about it in all my many online articles and blog posts. I don't even eat it all that often. But I can tell you that Marks&Spencer vanilla custard is one of the finest. Fun fact: according to the Telegraph, at the beginning of the British recession M&S custard sales soared (source: 50 Ways the Recession is Changing Our Lives) proving that it truly is a wonderful comfort food. You can find me elsewhere on the Web writing as Veronica Bow and friends just call me Nicki. I have been writing online since late 2009 and have a collection of nearly 150 pages on Squidoo and a few more on Hubpages. My topic interests include European travel (especially the Alps regions), creative home decor, and face painting. You can find some of my face painting ideas on my blog Face Paint Heaven. I live in beautiful Scotland and my favourite activity is to travel around with a camera, capturing the Scottish landscapes and seascapes. Though I have had a love of art for a long time, I lost confidence in my own skills and only lately am rediscovering the artist within. 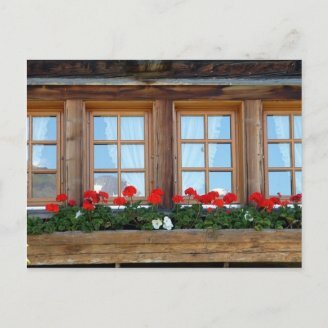 I share many of my graphics, photos and designs in my Zazzle stores. I'm a graduate of two British universities and have spent most of my life between England and Scotland. However, once upon a time, I lived in a Chalet in the Alps. By the way, if you get to know me, you will discover I have an obsession with windows. Other things I like include language learning. I once was almost trilingual, sadly time and lack of practise have taken their toll. My favourite language is Italian and I also studied French. I understand more German than I speak, have a tiny bit of Japanese, and once attempted to learn Dutch but the similarities to German made it difficult. When it came to being wary of 'making money online' opportunities, I must have been top of the list. The trouble is, of course, that there are so many scams out there. However, I also found out that a whole lot of talented people are using their skills to earn an additional income. A year and a half on and I too have seen that it is possible to earn online. I also know from my own experience and from learning from those I admire that it is possible to do so with integrity. I've also come across a whole lot of interesting and inspiring people. Many of them arrived through the Wizzley door a few hours before me (and a good friend just followed in on my heels). It's great to see you all here! Many of us have small rooms in our homes. Fortunately it's easy to make a room look bigger and brighter using a little decorating know-how. We start with paint and color. When you have a small room that you want to make appear bigger, it is a good idea to consider clever storage solutions. These can create a feeling of space. Third in the series. The second in a series to help you make a room look brighter and larger. Mirrors add light to a room, while clever posters and artworks can create an illusion of a larger room. Peach is a flattering color that gives an outfit warmth and elegance. Choose a peach dress for a special occasion or a summer party. Why not join me here on Wizzley and build an online income writing about things you love! Just click the link to get started. Super Stuff. You teach everyone something. Love your style. I always assumed "who" -- no other possibilities occurred to me -- but now that you mention it, I guess taken out of context, a word custard could be a "what" -- a sweetened breakfast version of alphabet soup, perhaps, or an alternative to Boggle, played with colorful plastic bowls. Hi there, it's nice to see the "face" behind the "pear"...almost:-) Nice to find you here, thanks for visiting my pages, I'm just getting started here and appreciate the encouragement. I would love to visit the home of my ancestors sometime, Scotland, where you are. I'm not sure it will ever happen so do so online and in any other way that I can. Hi, Nicki! I'm so glad to find so many Squidoo-ers here! I like both of your avatars! It's great to learn just a little more about you. Custard, mmmmmm. Let's have a custard party! Like you, I understand more German than I can speak. I also thought learning Dutch would be easy because of its similarities to German...I ended up confusing the two so much that it would have been called a new language! Wonderful to see you here as well as I've enjoyed your work on Squidoo. 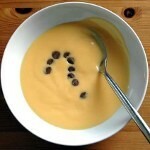 Growing up I loved custard too, the one my mom made at home with fruits and all...yummy! Looking forward to seeing more of your work here. Wishing you the best and continued success! Oh yes, Marks and Spencer vanilla custard - yummy!! Why did I start writing on Wizzley? I was looking for outlet for my writing without any financial outlay, and I didn’t want to go back to poorly paid sites.